Any good period epic should have a few recognizable themes. Forbidden romance, an important element of “A Promise,” another European drama released just a few weeks ago, is a must. Race and class conflicts can be crucial as well, mainly because they could represent such insurmountable obstacles to happiness due to the prevailing sensibilities of the time. 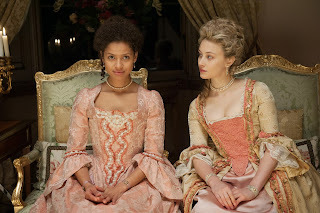 “Belle,” which tells the somewhat true story of Dido Belle (Gugu Mbatha-Raw), a black woman raised in an aristocratic home in England in the 1700s, fits the bill of a classical tale of a woman greatly ahead of the time in which she lived. Mbatha-Raw is an actress many might recognize but few will be able to identify by name, partially due to its pronunciation. After getting her start in British television and theatre, Mbatha-Raw was cast as one of the leads in J.J. Abrams’ new NBC series “Undercovers.” Partially because of the fact that she and Boris Kodjoe were relative unknowns, the show failed quickly, but those who saw it could tell that Mbatha-Raw had talent. Subsequent roles in FOX’s “Touch” and “Larry Crowne” didn’t utilize her abilities all that magnificently, but Mbatha-Raw now has the opportunity to own and define in a character in a movie that really is all hers. 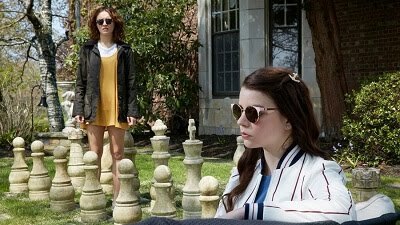 Belle’s spirit is what defines her film. She has the fortune of being brought into a wealthy home by her father’s uncle, who chooses to recognize her despite the societal implications. She knows that there is something that inherently separates her from her adoptive family, yet she still grows up and lives alongside them in a capacity not of servitude but of relative equality. The color of her skin shouldn’t give her the chance to choose between suitors, but, as tends to be the case, the endearing nature of a true good heart outweighs the more convenient presence of a well-off competitor with less noble virtues. Mbatha-Raw is the star of the film, and imbues Belle with an energy and sense of passion that makes the film work more than anything. The supporting cast is populated by notable British actors such as Tom Wilkinson, Emily Watson, Miranda Richardson, and Penelope Wilton, better known as Isobel Crawley of “Downton Abbey.” The cast is able, but ultimately they are merely there to help tell Belle’s story, which is an occasionally inspiring, involving one supplemented by great costumes and sets.